Salmon bed and breakfast travel guide for romantic, historic and adventure b&b's. 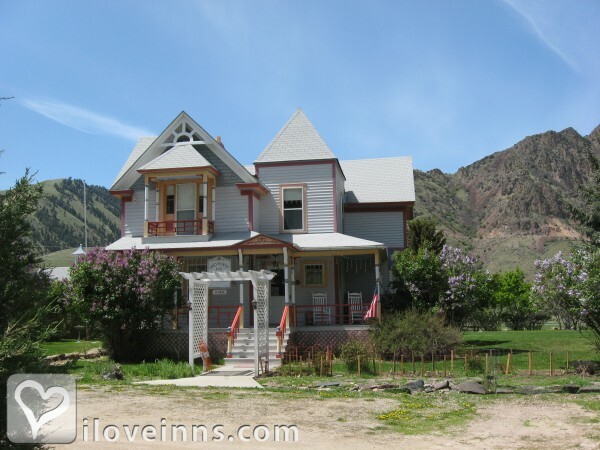 Browse through the iLoveInns.com database of Salmon, Idaho bed and breakfasts and country inns to find detailed listings that include room rates, special deals and area activities. You can click on the 'check rates and availability' button to contact the innkeeper. Salmon is a city known for its historical relevance. Located in Lemhi County in Idaho, the city of Salmon offers several amazing destinations that visitors should not miss. One of the most prominent is the Sacagawea Interpretive, Cultural and Educational Center. This museum hosts many items that could accurately describe how the city looked in the past and how it came to be. Being in the path of the great Lewis and Clark expedition, the city is also home to the Meriwether Lewis's August 12, 1805 campsite. Of course, it is impossible to miss the Salmon River itself. Appreciating its beauty can be done best through Idaho River Journeys. Looking for a comfortable place to stay, while in the city, is not a problem because of the presence of many Salmon bed and breakfast inns. By Greyhouse Inn B&B. Salmon is the county seat of Lemhi County in Idaho. Just by its name, you can already correctly guess as to what kind of fun the city provides the locals as well as visitors. Guests who are billeted at Salmon bed and breakfast inns are sure to be given the opportunity to have fun on the Salmon River. Salmon is known for enjoyable river trips. The best tour is by Idaho River Journeys. To learn more about the history and culture of the city, especially those of its original Native American inhabitants, visit the Sacagawea Interpretive, Cultural and Educational Center. This is a museum located by Hi-way 28 in Salmon. Another point of interest for you if you are an avid student of history is the Meriwether Lewis' August 12, 1805 Campsite. Evenings in the city can also be fun by visiting the entertainment centers. By Greyhouse Inn B&B.